The Aqua Ultraviolet Advantage 2000 is in a 30% smaller unit then the Classic Aqua Ultraviolet UV. The Advantage features a one piece molded housing. 1/2" barb makes hose attachment easy and secure. The Aqua Ultraviolet Advantage 2000+ is in a 30% smaller unit then the Classic Aqua Ultraviolet UV. The Advantage features a one piece molded housing. One piece molded 3/4" barbs make hose attachments easy and secure. As a sterilizer: Maximum flow rate: 700 GPH. 200-500 Gallons size. As a clarifier: Maximum flow rate: 1800 GPH. The Aqua Ultraviolet Advantage 2000+ is in a 30% smaller unit then the Classic Aqua Ultraviolet UV. The Advantage features a one piece molded housing. 1/2" barb makes hose attachment easy and secure.easy and secure. The Classic Series UV is ideal for ponds, aquariums, and water features. 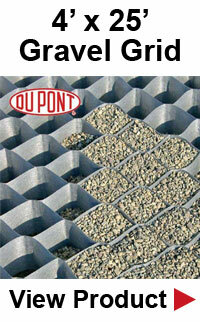 The classic provides rugged design has features that allow for quick installation and easy maintenance. Aqua Ultraviolet UV units will clear your water in 3 to 5 days sometimes overnight and keep it that way. Performance is guaranteed when sized, installed and operated according to our instructions. The Aqua Ultraviolet Classic 8 Watt UV controls the amount of harmful bacteria in your pond for a healthier ecosystem and will clear ponds up to 1500 gallons in size with 50-75% plant coverage. Water flow rates are based on end of lamp life at 14 months. Unit: 16" X 4-1/2" X 2-1/2". A sterilizer will eliminate green water and control bacteria. The Classic 25 Watt, will sterilize up to 1,200 gallons of fresh water or 150 gallons of salt water. Used as a sterilizer the Aqua UltravioletTwist 25 Watt unit will eliminate green water and control bacteria. 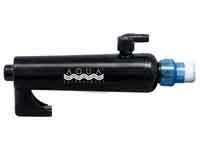 The Aqua Ultraviolet Twist 25 Watt, will sterilize up to 1,200 gallons of fresh water or 150 gallons of salt water. Used as a Clarifier the Aqua Ultraviolet Twist 25 Watt, will control green water in a freshwater environment of up to 4,000 gallons that has 50% to 75% plant coverage and partial shade.